The Computer Science Talk series is dedicated to hosting distinguished international-leading computer scientists to provide them with the opportunity to share their latest research results with the Austrian CS community. The talk series addresses a specialized audience and is open to the public. 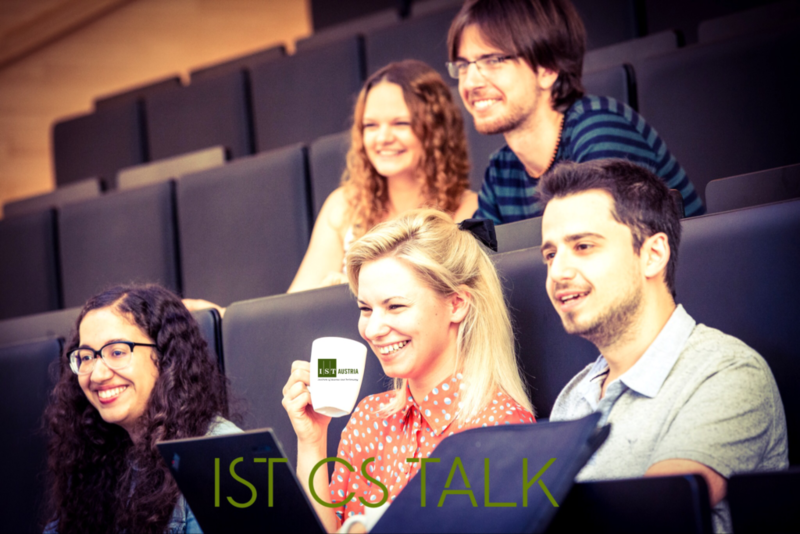 The CS Talk series is usually held on every last Thursday of the month from 3pm – 4pm at the seminar room Mondi2 at IST Austria (unless otherwise noted). Interested members of the public, please register for the event by contacting Caroline Petz. Stay abreast of our upcoming talks by subscribing to the CS Talk series mailing list via email. We are looking forward to seeing you at our next CS talk!